Life can be exceptionally annoying if one suffers from allergic reactions. A trip to a friend’s house becomes marred by an absurd amount of coughing and spluttering, insects are treated with a distain more indicative of a far larger and more menacing animal, and warm summer walks share more in common with a funeral than a lawn party. With so many allergens surrounding us outside, it might be easy to believe that at least your home, and your bedroom, could offer a sanctuary from the pollen plague outside. I don’t mean to sound alarmist, but you’d be very wrong! A report by the charity Allergy UK showed that the country’s 12 million citizens may be at risk of what they termed “home fever”; a diverse range of symptoms brought on by a plethora of nasties that reside in our boudoirs, an out of season hay fever. So how do we protect ourselves from this household annoyance? The key source of home fever seems to be in the home. 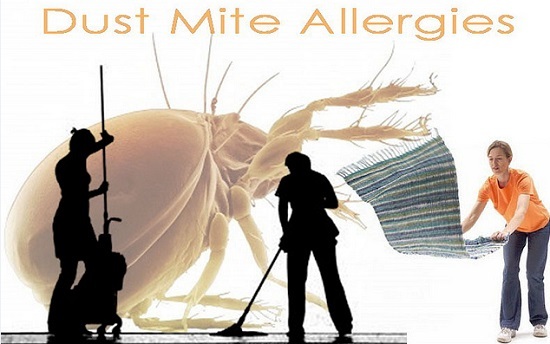 The same Allergy UK study noted that 58.9 percent of sufferers experienced worsened symptoms in their bedroom, a rather correlative figure that can be traced to the 2 million or so dust mites that live in beds. To rid your bed of this plague there are lots of things you can do; wash sheets and linen every week and dry at a temperature around 100 degrees, and remember to change your mattress every 10 years or so. Sites like Bedstar have a variety of mattresses that won’t break the bank. Surprisingly, the mere act of getting rid of a lot of the clutter, old items and knickknacks, which are so often strewn across our bedrooms nowadays, can rid your room of the conditions that allow allergens to flourish and collect. The less fabric in your room the better, and with metal and glass you can combine a de-allergen with a modernisation too! Lots of allergen-producing insects truly dislike colder and less humid climes. Using a dehumidifier to make things less tropical or turning up the AC can make all the difference; dust mites find it difficult to reproduce when the temperature is below 77 Fahrenheit. Simply wiping down your bed frame with a damp rag, once a month, can substantially rid your bedroom of dust and allergens. Couple this with installing wooden floors instead of heavy shag carpets, wooden blinds instead of thick curtains, and definitely aim to keep all pets out of the bedroom!